(VEN) - Since the beginning of this year, Vietnamese litchis have been successfully exported to many countries such as the US, France, and Australia via Vietnamese marts, supermarkets or overseas Vietnamese business associations. Overseas Vietnamese have significantly contributed to increasing and consolidating the presence of Vietnamese goods in large global markets. On June 12, the first consignment of three tonnes of Vietnamese litchis arrived at Melbourne, Australia and since then until the end of the 2015 litchi season, Vietnam successfully exported more than 32 tonnes of litchis to Australia by air. Nguyen Hoang Thuy, a representative of the Vietnam Trade Office in Australia, said as soon as the Australian side licensed litchi imports from Vietnam, the office organized a workshop to encourage businesses, especially overseas Vietnamese businesses in Australia, to pilot importing Vietnamese litchis. It has launched a promotional campaign targeted at the Vietnamese community and Australians. The office has coordinated with the Vietnamese Embassy and Consulate General in Sydney as well as the Vietnamese Business Association in Australia to organize Vietnamese Litchi Day in Melbourne, Victoria, and Vietnamese Litchi Week in Cabramatta, Bankstown, and Marrickville (home to the largest communities of Vietnamese Australians in New South Wales). Information about Vietnamese litchis has been shared through the facebook pages of the Vietnamese Embassy, students, and overseas Vietnamese in Australia, in response to the Buy Vietnamese Goods campaign. Australia is expected to license mango imports from Vietnam in the near future. The Vietnam Trade Office in Australia is persuading Vietnamese-owned distribution channels in Australia to prepare to import Vietnamese mangos as soon as they are licensed. Litchis are just an example among Vietnamese goods that have been successfully exported via overseas Vietnamese. Vietnamese litchis have accessed not only Australia but also many other markets such as France and the US, via overseas Vietnamese and their businesses. Tran Thanh Hai, Head of the Agency of Foreign Trade under the Ministry of Industry and Trade, said the Buy Vietnamese Goods campaign had been promoted in not only Vietnam but also abroad. 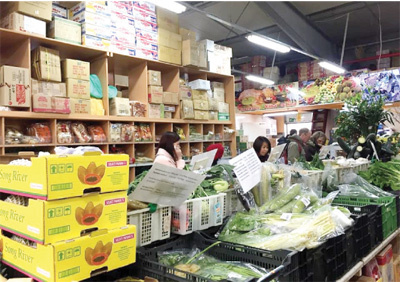 Millions of Vietnamese people living and working abroad, including overseas Vietnamese business associations, offer an effective distribution channel for Vietnamese goods in foreign markets. Hai added that in recent times, overseas Vietnam Trade Offices have organized workshops and other activities with the participation of local distribution channels to promote overseas sales of Vietnamese goods. For example, the Vietnam Trade Office in France has coordinated with the Thanh Binh Company to distribute Vietnamese litchis, Hanoi beer, and Tam Lan tea; the Vietnam Trade Office in Singapore has coordinated with the NTUC FairPrice supermarket system to sell Vietnamese fruit in Singapore. These activities have contributed to increasing Vietnamese exports and promoting Vietnamese goods in global markets. Hai said that overseas Vietnamese in many countries such as the US, Australia, and France enjoyed high standards of living and were willing to buy quality Vietnamese goods as well as to offer a bridge for Vietnamese goods to access global markets. However, the distribution of Vietnamese goods still revealed some limitations. Firstly, Vietnamese goods that are distributed in foreign markets via overseas Vietnamese mostly include consumer goods of low value, while products of high value such as machinery and equipment have yet to access global markets. Secondly, Vietnamese goods still lack persity. Hai said, “Vietnam is a world-leading rice exporter, but domestic businesses need to know that different global markets have demand for different kinds of rice, so they need to learn carefully about the demand of each market in order to export suitable kinds of rice. At the same time, they need to invest in preservation technology so that their products can be exported to markets that are located far from Vietnam. In addition, domestic businesses need to improve packaging because nicely packaged products attract consumer attention. Packaging is also a factor in the competitiveness of products. The Buy Vietnamese Goods campaign has been implemented for six years. 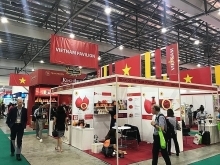 Through overseas events such as Vietnamese Goods Days and Vietnamese Goods Weeks held in response to the campaign, many kinds of Vietnamese goods have become known to global consumers. “Vietnam’s Son Doong Cave has become known worldwide through just a short TV report on CNN. This fact showed the important role of communications in efforts to popularize products. Therefore, in the time to come, domestic businesses need to further promote advertising their products through communications. 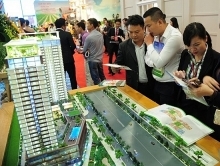 Notably, cooperation with foreign communication channels will make advertising activities more effective, contributing to increasing the presence of Vietnamese goods in global markets,” Hai said.